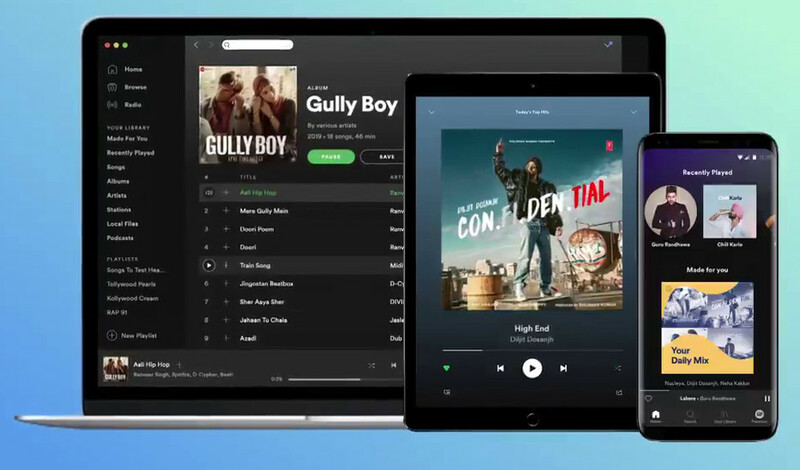 Looks like Spotify is all ready to launch for the Indian market. The release of the Indian prices for their various packages posted on the company’s website puts full weight on the matter. According to the price list, the monthly pack begins at Rs. 119 while, the annual or yearly plan is priced at Rs. 1,189 (approximately Rs. 99 per month). Compared to Apple Music, Spotify will be less costly (per month is Rs. 1 less and yearly it’s Rs. 11 less). However, since Spotify has not officially launched its platform in India, the users will not be able to sign up to access the services. For now, you will have to use VPN sign up and create a Spotify account in any other region. Once, your account is created, you sign up and get 30-day free trial and after the free trial choose any India pricing pack to continue using the services. To test, we downloaded the Spotify app on our Android device and began using the service with our 30-day free trial. Once, your 30-day free trial is over, you can choose from any of the premium or Top-up packs and continue using the services. If you are a student, well, good news for you. Spotify is slashing straight 50% off the Spotify Premium packs only for students. Yes, students can use the service for just Rs. 59 per month. To avail the student offer, students need to upload a school-issued document stating you are currently enrolled in the college. Unfortunately, there are no premium family packs on Spotify like the users of Apple Music enjoy in India. With their Rs. 119 per month pack, Spotify makes its place strong in the premium tier subscription-based music service available in India. Apple users have to pay Rs. 120 monthly while, JioSaavn, Gaana and Google Play Music at Rs. 99. Amazon Music is expensively high for monthly basis at Rs. 129, but the yearly is quite less at just Rs. 999 per annum. JioSaavn is right behind with the same price while Gaana is the cheapest at just Rs 499 per annum. Google does not offer annual plans. For now, Spotify accepts only debit and credit cards, that also MasterCard and Visa only for their recurring Indian monthly subscribers. For the other packs, one-time and annual included, users can use UPI, Paytm and debit cards as well.